Bakers Cyst refers to a persistent swelling which develops in the back of the knee. 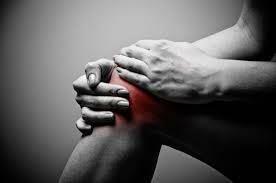 It commonly develops following an injury to a structure within the knee joint. Bakers Cyst generally results in an obvious swelling on the back of the knee which may fluctuate from day to day. The swollen area may be tender to touch. In some cases the patient may find it hard to bend the affected knee completely. Do not ignore the problem which may lead to it becoming worse. Also do not participate in activities which cause the cyst to increase in size – sports, running, etc.